﻿ A Christmas Story House & Museum - Ohio. Find It Here. 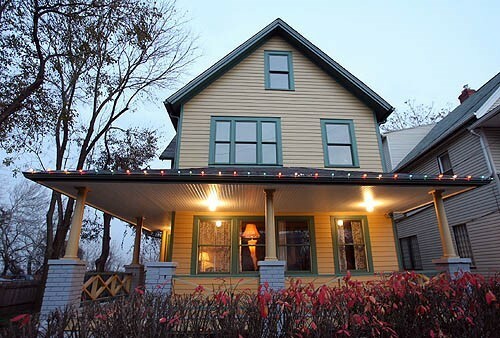 A Christmas Story House, now restored to its movie splendor, is open year round to the public for tours. Directly across the street from the house is the official A Christmas Story House Museum, which features original props, costumes and memorabilia from the film, as well as hundreds of rare behind-the-scenes photos. Among the props and costumes are the toys from the Higbees window, Randys snowsuit, the chalkboard from Miss Shields classroom and the family car. After reliving A Christmas Story at Ralphies house dont forget to visit the museum gift shop for your own Major Award Leg Lamp and other great movie memorabilia. Proceeds from the gift shop help support and maintain A Christmas Story House & Museum.